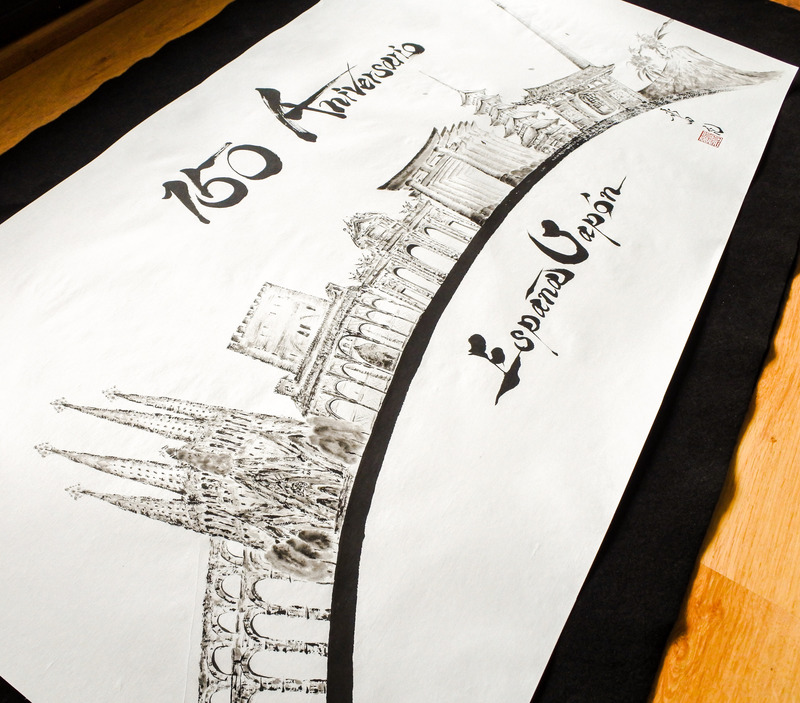 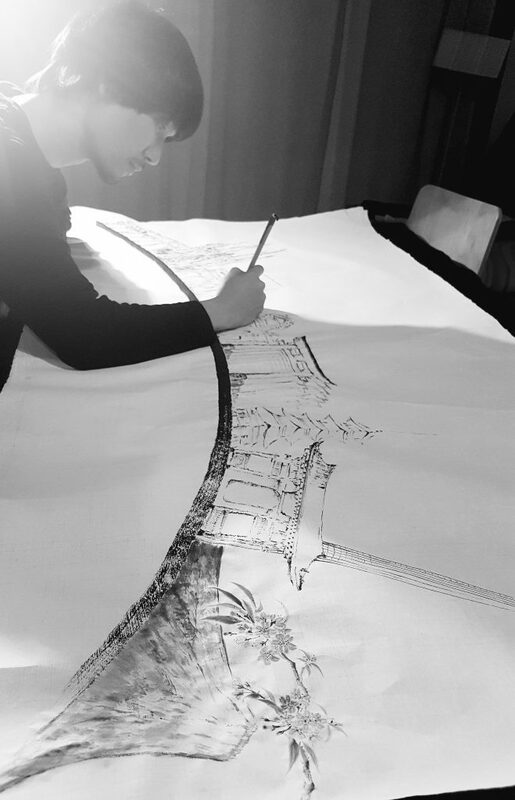 This is one of my lastest works, a commission for Japanese Embassy in Spain. 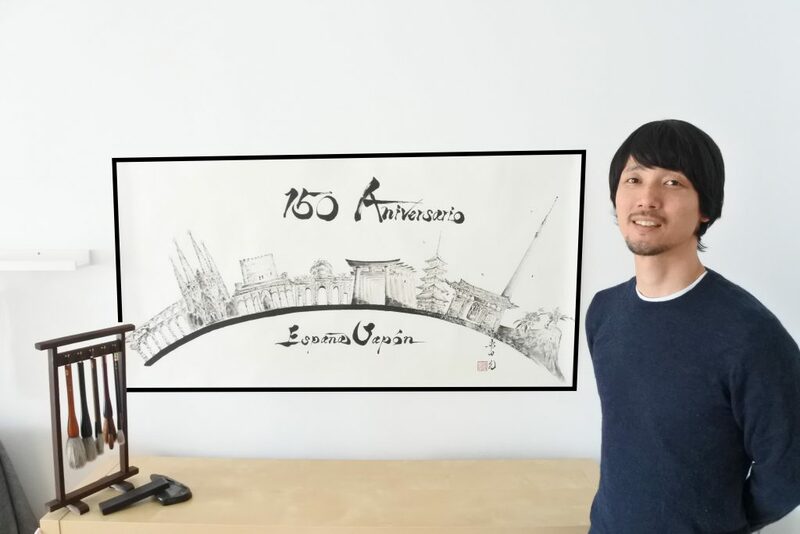 They asked me for a work to commemorate the union of the two countries. 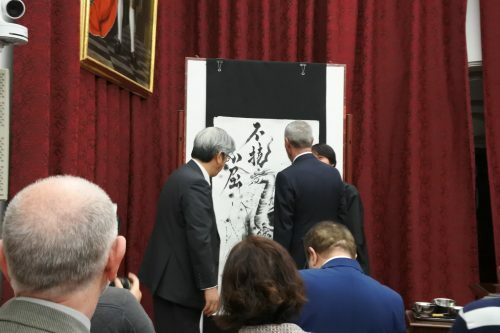 This year marks the 150th Anniversary of the establishment of diplomatic relations between Japan and Spain. 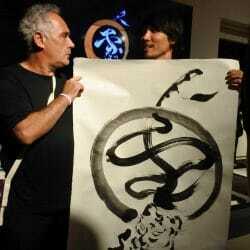 On November 12, 1868, when the Treaty of Friendship, Commerce and Navigation between Japan and Spain was signed. 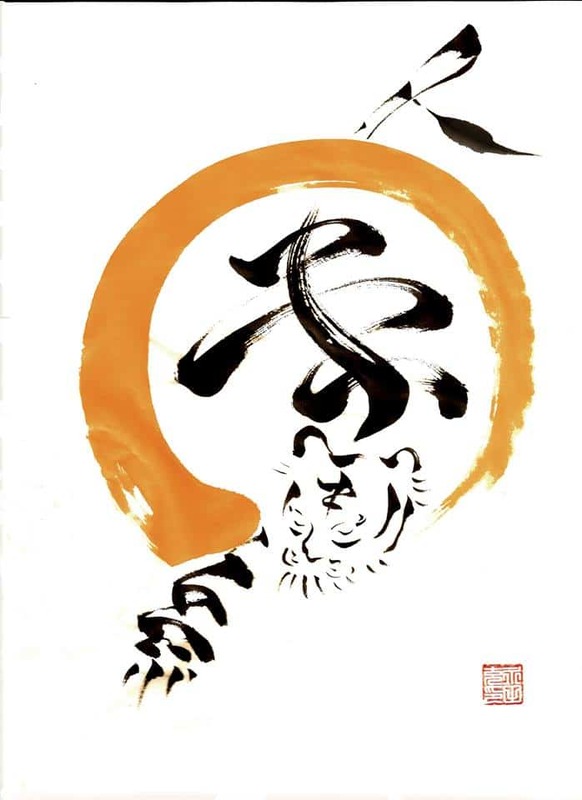 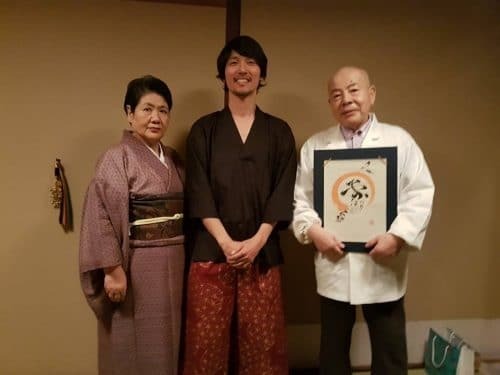 Why tiger and a Yuzu? 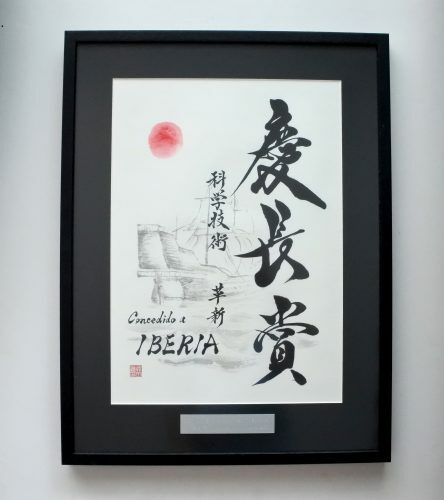 One day Mr. Ishida one of the best Chefs restaurants in Japan made to Ferran Adrià an onigiri ( rice ball ) with Yuzu ( a type of Japanese citric ) with the shape of a tiger, because he was born the year of the tiger, and he loved it…that is how the history of friendship between the masters Chefs began. 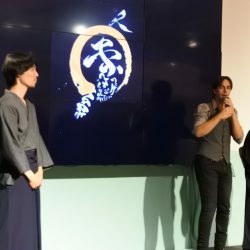 1 week ago by nagatayakyoto Hoy estamos en el Salón del Manga y la cultura de Alicante @smalicante os esperamos! 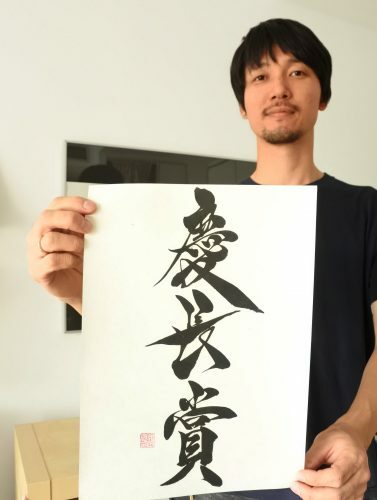 This year 2017, I have been chosen for the creation of the Keicho awards. 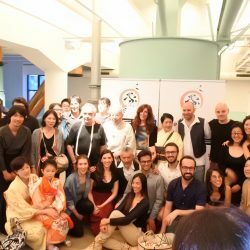 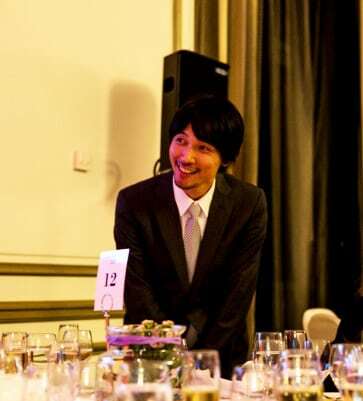 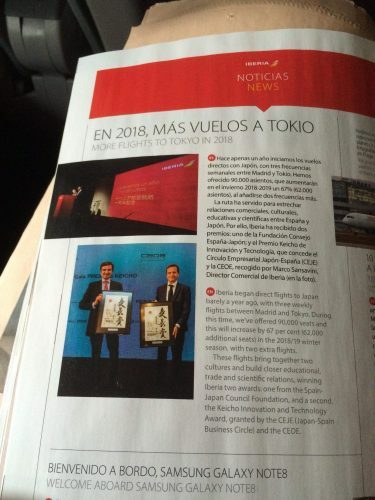 The Keicho awards is held every year in Spain and rewards one japanese company and one spanish company. 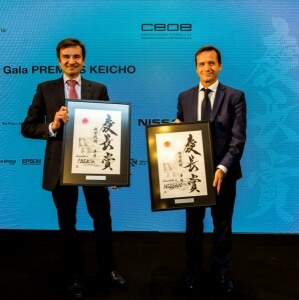 Nissan and Iberia were the two companies selected for the award this year, the reason why they won the awards is their contribution to the innovation and technology. 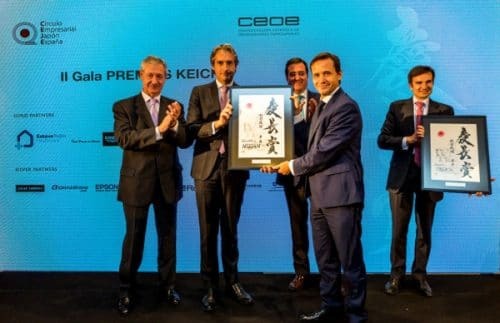 The Keicho Awards are organized by the CEJE, the Japan-Spain Business Circle in Spain. 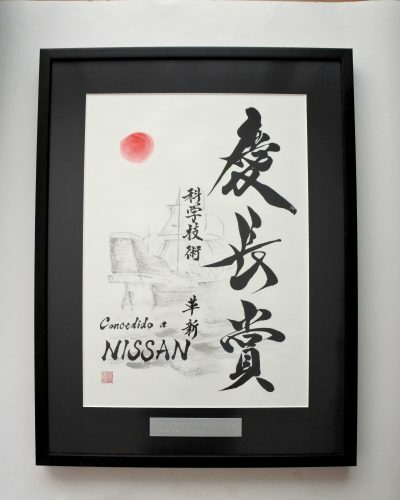 The name of these awards comes from theht 400 years ago sailing the ship called Datemaru, that is represented in my drawing with raising sun. 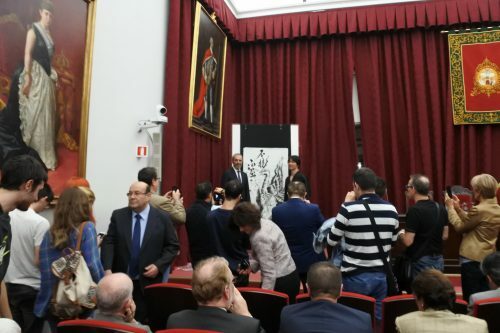 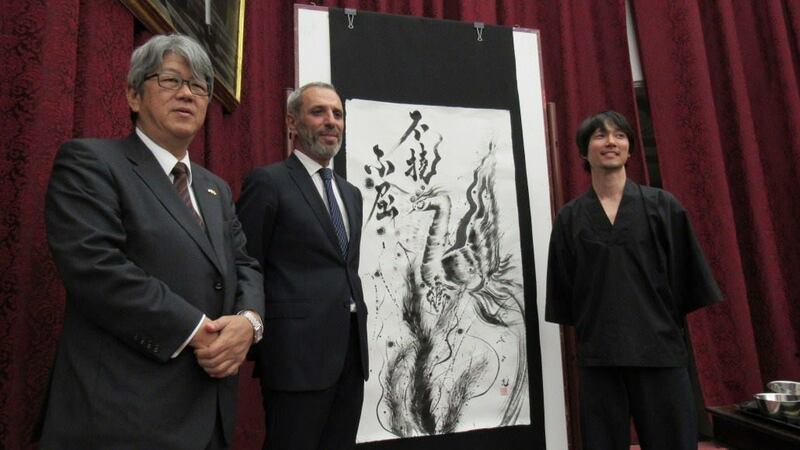 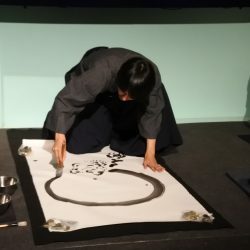 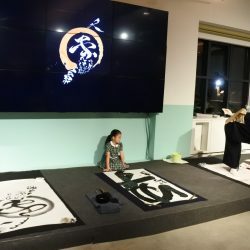 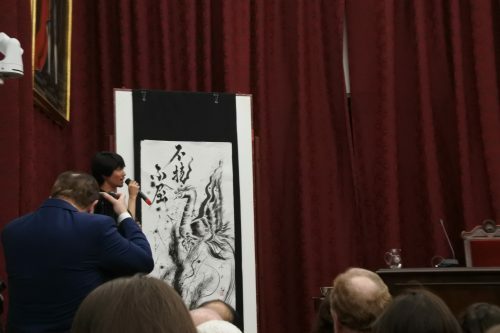 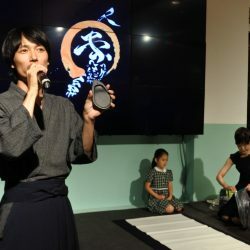 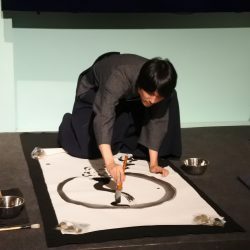 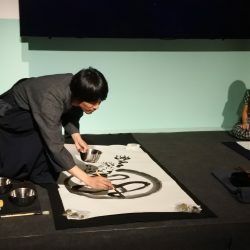 Some pictures of the opening ceremony of Japanese culture week in Seville, I did live painting for the inaguration. 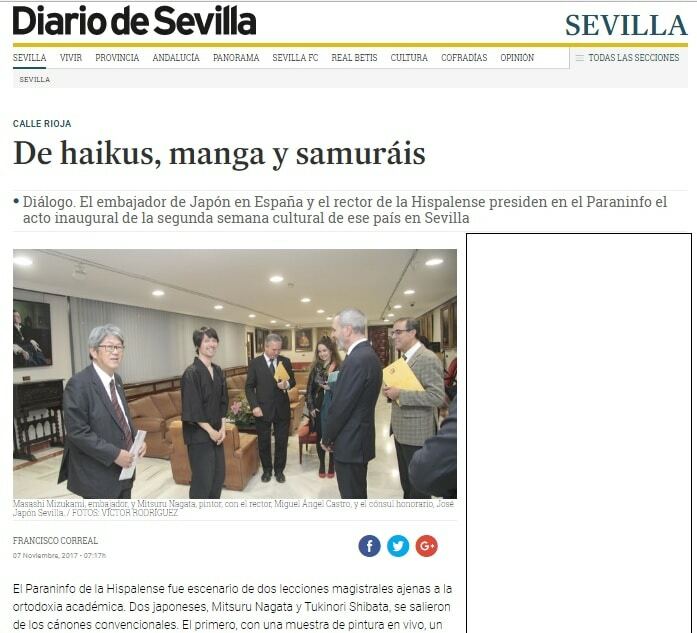 Thank you to the Japanese Embassy and Seville university for the invitation.